You have no items in your shopping bag. This product qualifies towards the free shipping offer. How do we—people who have grown accustomed to city living, with all its conveniences—make the transition to country living? It’s not easy to lay aside one lifestyle in exchange for another. From City to Country Living not only encourages us to comply with the inspired counsel of Ellen White, but also offers helpful tips from two men who have greatly enjoyed the boon of country living. Arthur Lacey White (1907–1991) was secretary/director of the Ellen G. White Estate from 1937 to 1978. He succeeded his father, William C. White, who was a son of Ellen G. White and had managed his mother's estate since her death in 1915 until his own death in 1937. Soon after Arthur became in charge of the White Estate, church leaders moved the estate from her "Elmshaven" home near Angwin, California, to Takoma Park, Maryland. 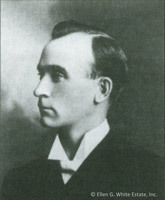 E. A. Sutherland was an early pioneer of Seventh-day Adventist education and first president of the campus that is now Andrews University. Review and Herald Publishing Association("Review and Herald®"), the owners of this web site.